Bone / joint health is an important issue in the Active Aging community and one we take seriously here at Passport For Wellness. Our #1 fitness video streaming program is designed specifically for seniors. Our low impact exercises are beneficial for those suffering with common ailments such as joint damage and inflammation. Learn more below. By 2040, a whopping 78 million US adults 18 years or older are projected to suffer from arthritis – so bone and joint health is a big issue! Staying active is a key component in the effective treatment of this prevalent condition. This is where Passport for Wellness and Bone & Joint Action Week come in. The United States Bone and Joint Initiative (USBJI) is a valuable resource for those struggling with pain associated with arthritis, osteoporosis, and more. Oct 12th-20th is the annual Bone and Joint Action Week. The events organized worldwide are designed to raise awareness of prevention, disease management, and treatments of common bone and joint issues. Take action today and stay healthy! 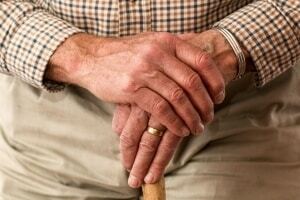 Do your residents or your loved one suffer from bone and joint pain? Staying active and committing to active aging for seniors can improve quality of life. We want to help your residents or loved one get moving with our fitness streaming program. Try it for one month free today. After that, our program starts at only $6.99 a month. Find us and Follow on Facebook! 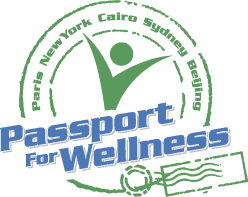 Join Passport for Wellness on LinkedIn!